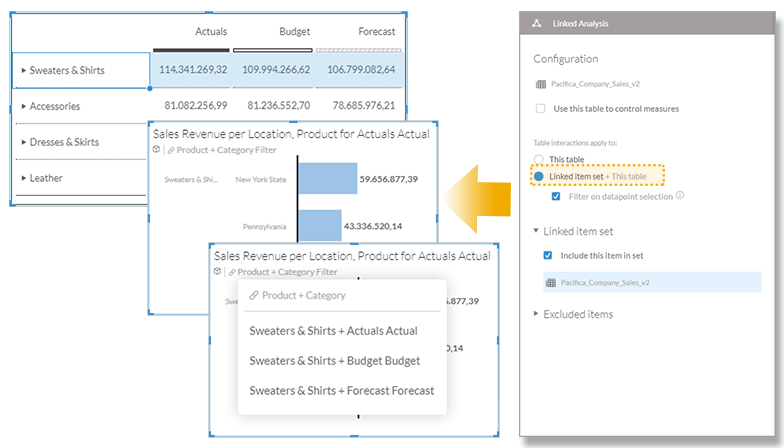 This blog covers some of the latest new features and enhancements in SAP Analytics Cloud* and SAP Digital Boardroom release 2017.16. Please note that the Analytics Cloud Help documentation is updated at the same time as the upgrade to this release, so the links here may not yet reflect what is described below until after the upgrade is complete. Note: Although it is not required, you can upgrade to the new agent version 1.0.71, no matter what data acquisition type you use. Do this to take advantage of updates made to SAP Analytics Cloud agent. 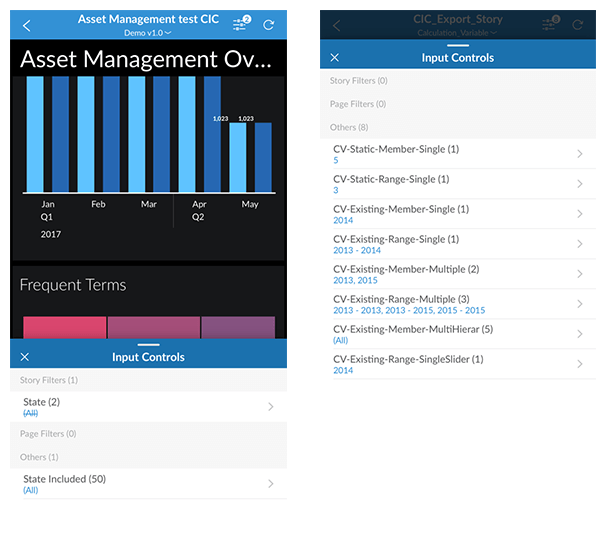 The SAP Analytics Cloud mobile app now supports calculation input controls. Please note the range single slider calculation input control is currently not supported. Previously, you could enable data access control and specify read and write permissions for individual members via the read and write columns. In this release, you can now specify which users can delete public versions for the model using the new delete column. Previously for time series trend charts, you had the ability to run automatic and advanced forecasts. In this release, we’re excited to bring you a third option – triple exponential smoothing. This algorithm considers seasonal changes that are repeated over some period. 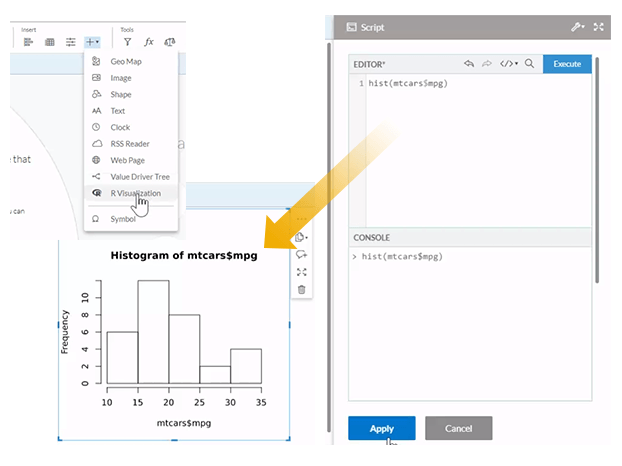 In release 2017.09, we introduced the ability for you to integrate R visualizations into your stories. Up until now, you needed to have your own R server to use this feature. Starting with release 2017.16, we are bringing online a new managed R environment that will allow you to build R visualizations without having to set up your own R server. Our EU1 data center is the first to have this R environment, and we will be rolling out to additional data centers over time. This managed environment also comes with pre-installed R packages. 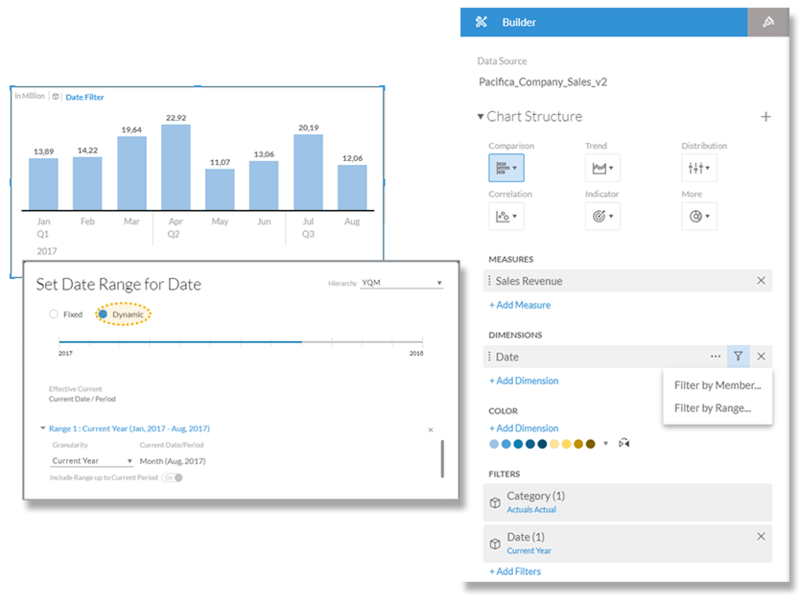 In previous versions, with Linked Analysis, you could create a filter that would simultaneously update multiple charts. The “sender” of the action could be either a chart or a geo map. Now in this release, we’ve extended this capability for tables as well. You can now filter other visualizations on a canvas page with a table using Linked item set + This table. 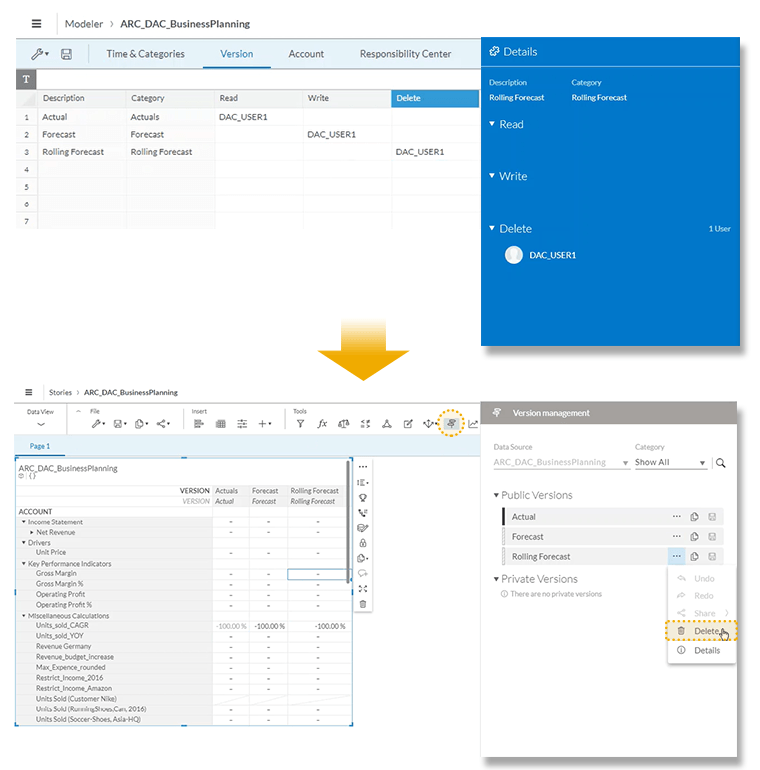 If you have multiple dimensions in the table, inner dimension members will be included when you apply Linked Analysis to an outer dimension. Please note that filter on data point selection will be automatically selected without the option to disable when you use Linked item set + This table. Selection of non-data cells will not trigger a linked analysis. You can now dynamically create a time filter for a single widget without impacting other visualizations. In addition, chart and table filters expose the option to adjust the time filter range from fixed to dynamic. 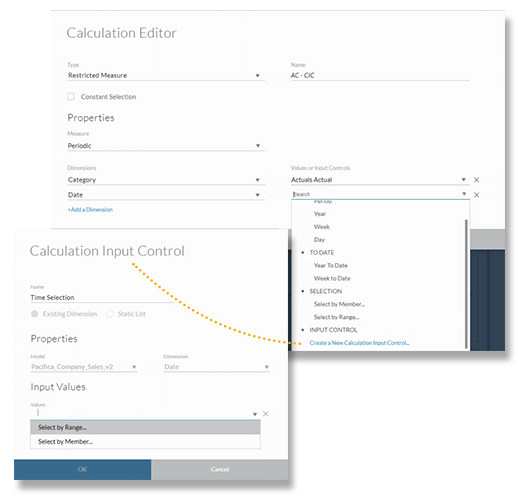 You can also now create a dynamic time calculation input control to determine the result of a calculation. Please note that there are existing limitations for this feature which were outlined in release 2017.13. A new content library has been added to the Files area. From this page, you can now add sample content and prebuilt business content to your system from within the application. This will save you from having to download the content locally first and then importing it. You can now also update the data sources and other related dependencies on your own. As an administrator, you can now configure a live data connection to SAP BW via HTTP server with SSO. 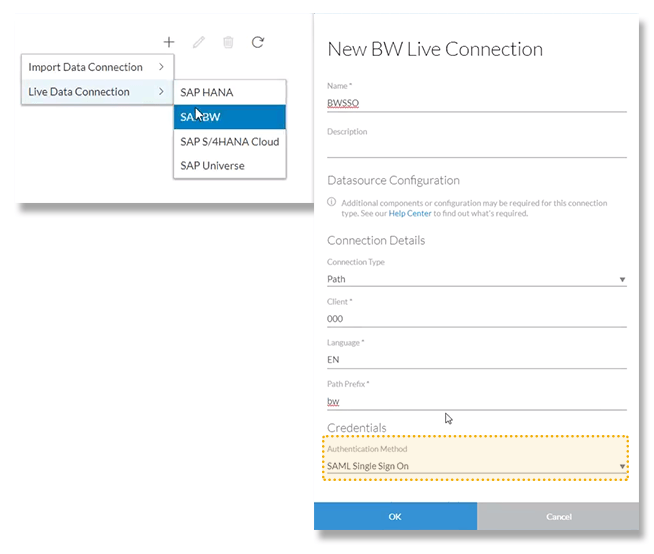 You can now create a live data connection to an on-premise SAP S/4HANA system using an HTTP server. 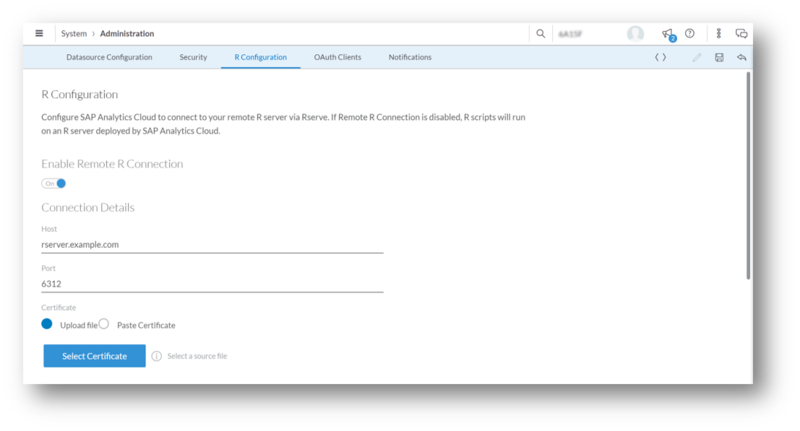 You can now specify how often SAP Analytics Cloud checks the connectivity of a live data connection. You will find this option under System > Administration. This new feature will help you adjust the timing to prevent intermittent session timeouts when users are viewing charts/stories.